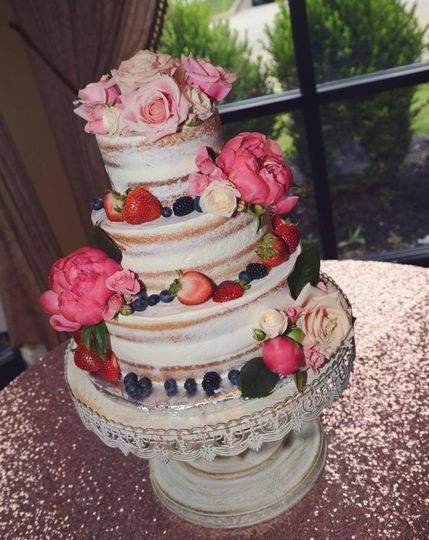 Honey Bee Bakery is a locally-owned and full-service bakery in Medina, Ohio that creates gorgeous wedding cakes. 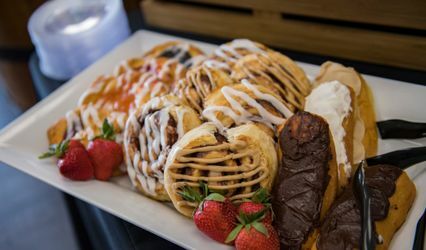 From gooey and decadent cookies and brownies to artfully crafted macaroons and bread, their delectable desserts are made fresh from scratch daily. 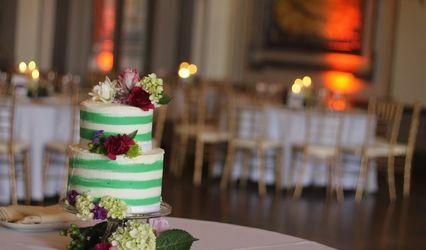 Regardless of your desired wedding cake or dessert flavor or design, Honey Bee Bakery will deliver artfully presented sweet treats for your wedding guests to marvel over. 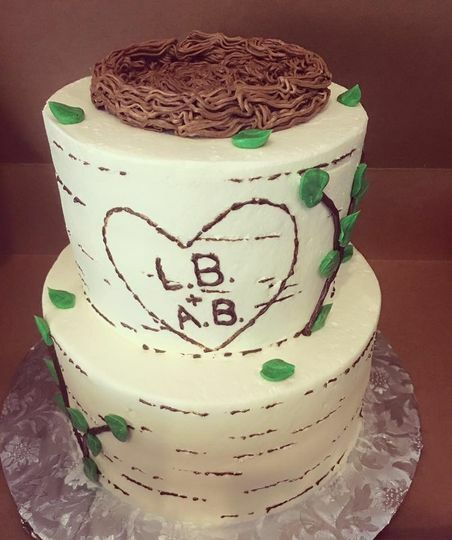 My husband and I recently used Honey Bee Bakery for our wedding cake. 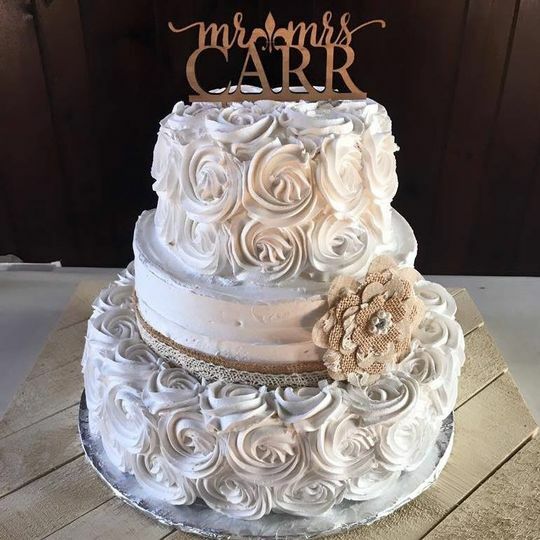 We chose this bakery without trying any other cake places in Medina, Ohio because we enjoyed every bite! There are many flavors to choose from as well as various fillings (although these come at a higher price). The cake was priced decently, too. 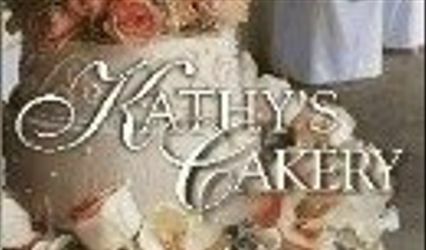 For a four-tier cake, the cost was only $317. Since we were in the same county as the bakery, there was no travel fee. 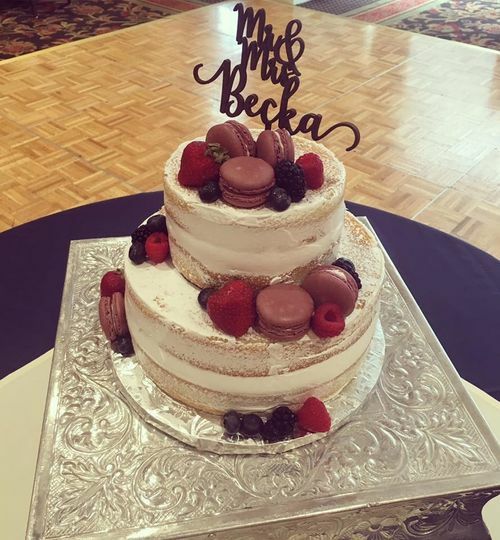 We felt as if we got a deal on this cake! 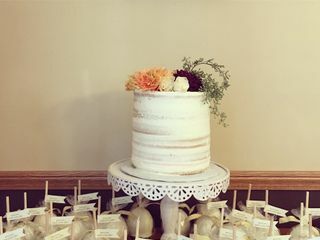 The bakery dropped off the cake at our venue and set it up at the cake table. 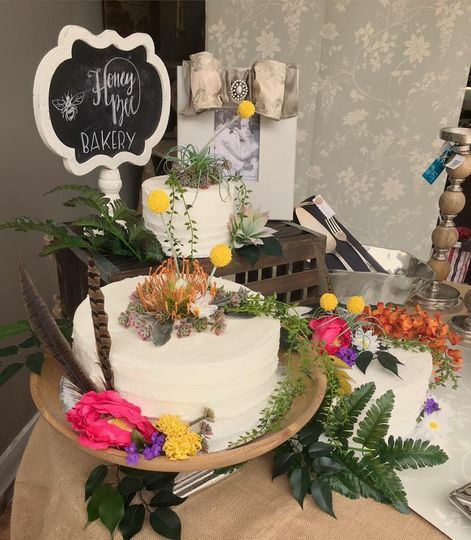 For our wedding cake, we wanted to have a few real flowers placed from our florist. 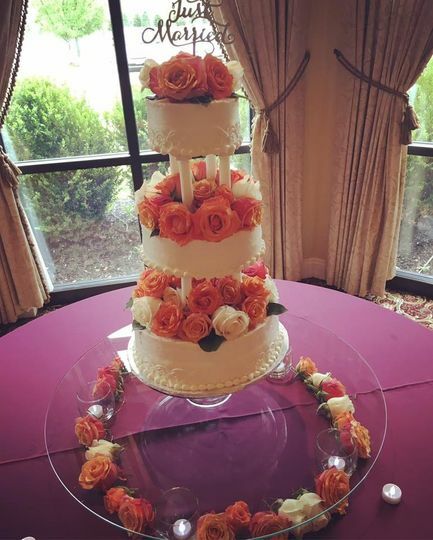 Our baker made sure to drop off the cake at a specific time which was coordinated with our florist so they could personally place the flowers without damage to the cake. 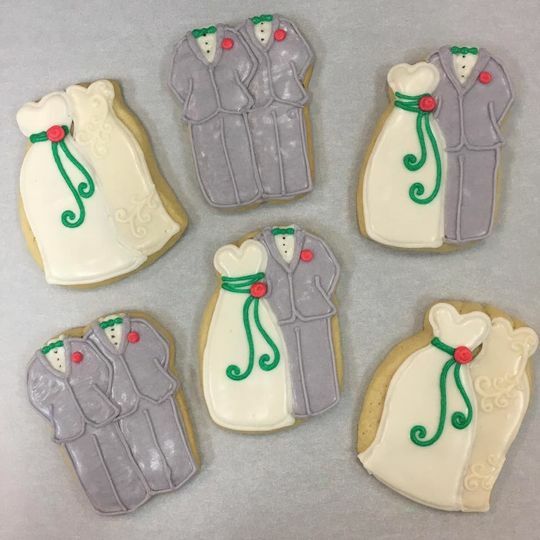 I would definitely recommend Honey Bee Bakery for any occasion! 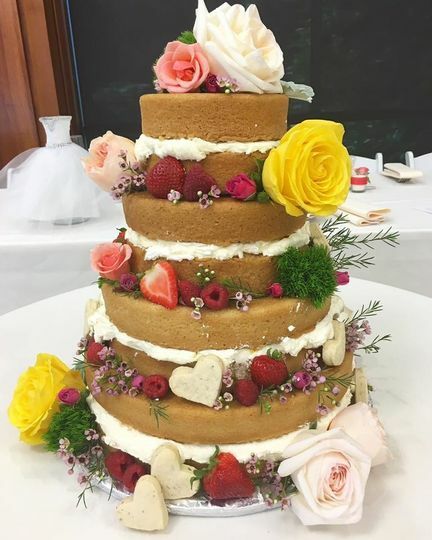 I absolutely loved my vegan wedding cake. I showed her a picture and it was exactly what I had envisioned. Nobody even noticed that it was vegan!